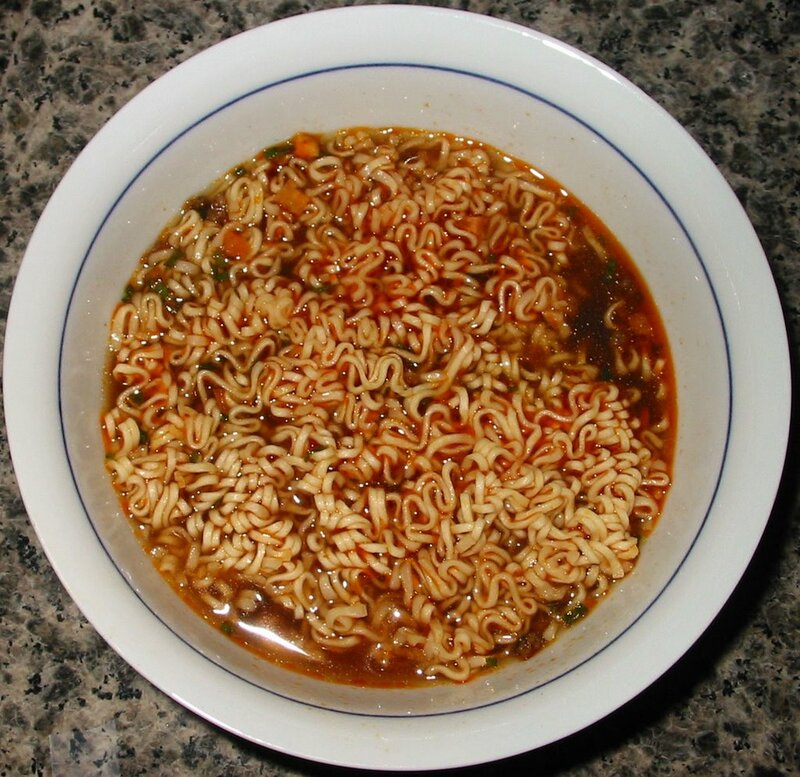 This particular brand of ramen was a staple in our household growing up. I think the packaging has changed a few times over the years, but the important stuff inside has stayed the same. They are a good example of Taiwanese noodles, which tend to have thinner, more deeply fried noodles. The picture of the cow on the cover of the packaging is quite disturbing. He looks like he's got mad cow disease or something! But there is not actually any meat inside, so I wasn't actually that disturbed. 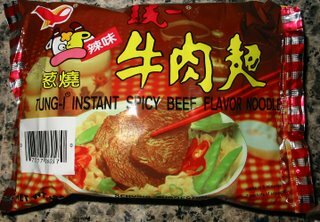 I really like the flavor of these noodles. 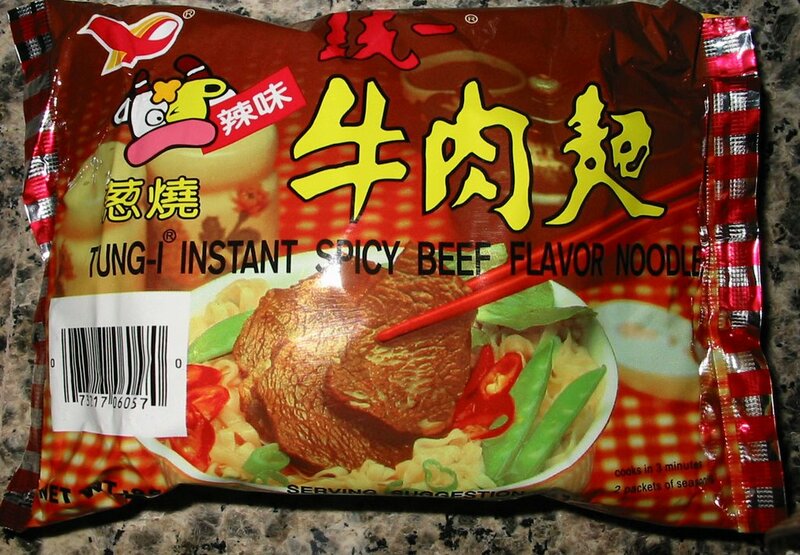 They are savory and spicy and go well with the noodles. There are plenty of carrots and scallions to add a change of pace. 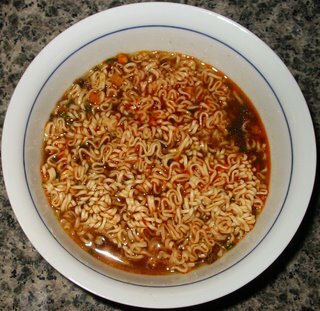 The broth is not nearly as spicy as the Korean alternatives, but is still fiery enough to give your lips a tingle. Overall, this pack is definitely recommended. Lol... very easy but i like the blog keep posting!